It’s been 224 years since the Regan virus changed the world and Jørn has changed, not that Kuma Darzi would know. He was born aboard the Citlali, a spaceship barely two-thirds of the way through its 200-year mission to explore deep space. In the dark, empty void between solar systems, light-years from home, something waits. Something old and half-alive, something hungry. Something that hates Jørn. 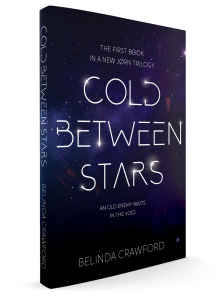 Cold Between Stars is the first book in a new Jørn trilogy. Join the newsletter for exclusive updates & previews!